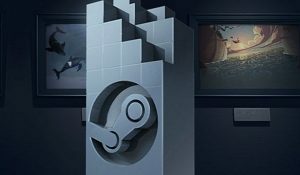 Last month Valve allowed for nominating tittles for their irregular “Steam Awards”, And now we have the 12 categories, the nominees, and the dates for voting’s start and end. From the 22nd to the 29th, each day new categories will be available to vote for. The “Villain Most In Need Of A Hug” Award (Best Villian). The “I Thought This Game Was Cool Before It Won An Award” Award (Games without a marketing push, but rather a gain popularity purely through word of mouth ). The “Test of Time” Award (Old games that can be still played and enjoyed today). The “Just 5 More Minutes” Award (Most addicting game). The “I’m Not Crying, There’s Something In My Eye” Award (Best dramatic/ emotional game). The “Better With Friends” Award (Best multiplayer games). What about the last one (custom) category? will be revealed later or NMS hate was too much for Valve to handle?